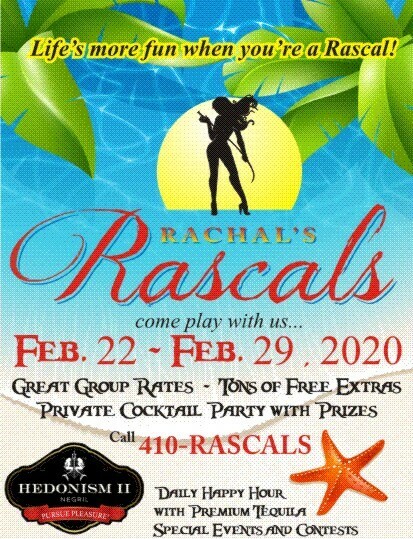 Rachal’s Rascals is back for our 2nd annual February trip. In 2019 we brought the party with an epic glow night, daily happy hours, plus pool parties and beach games all week long. In 2020 we’ll be doing it all again with even more events and giveaways! Don’t miss the best week of the winter – we bring so much extra fun that you’ll never want to leave! Call or email us with any questions or to reserve your spot.